Today is the first day of the AFL season and I barrack for the Richmond tigers, so I am writing about the Sumatran tiger. These beautiful tigers grow up to 2.5 metres long, making them the smallest subspecies of tiger in the world. Sumatran tigers are different from other tigers in that they have thinner stripes and larger manes. They are excellent hunters and mainly catch deer, wild pigs, cattle and goats. At breeding time, the females give birth to up to 5 cubs. The cubs stay with their mum for the first 18 months until they learn to hunt by themselves. 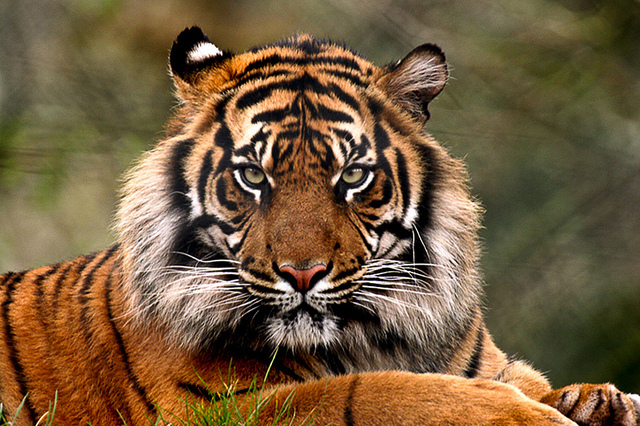 Sumatran tigers are only found on the Indonesian island of Sumatra. They are considered critically endangered with less than 600 left in the wild due to habitat loss and poaching. Are there any other interesting facts that you would like to share about Sumatran tigers? Nah go Essendon!!! Thank you, this was so helpful for my school project!